The Western Bulldogs have announced that Brad Lynch and Nathan Mullenger-McHugh will be retained as rookies for the 2018 season. Lynch and Mullenger-McHugh, both 20, are yet to make their debut for the Bulldogs, but have shown encouraging signs at VFL level. Mullenger-McHugh was taken with the Bulldogs' first selection (pick 18) in the 2017 NAB AFL Rookie Draft, after impressing in the TAC Cup with Eastern Ranges. He played 19 games this season with Footscray in the VFL, improving as a versatile key position player who spent time as a defender, forward and ruckman. Lynch has earned a third year as a Bulldogs rookie, after hamstring injuries limited him to 11 VFL games in 2017. The West Australian defender was a member of Footscray’s 2016 premiership team in his first season at the Club, after being selected with pick 11 in the 2016 NAB AFL Rookie Draft. Meanwhile, fellow rookie Tristan Tweedie has not been offered an extension to his rookie contract for the 2018 season. 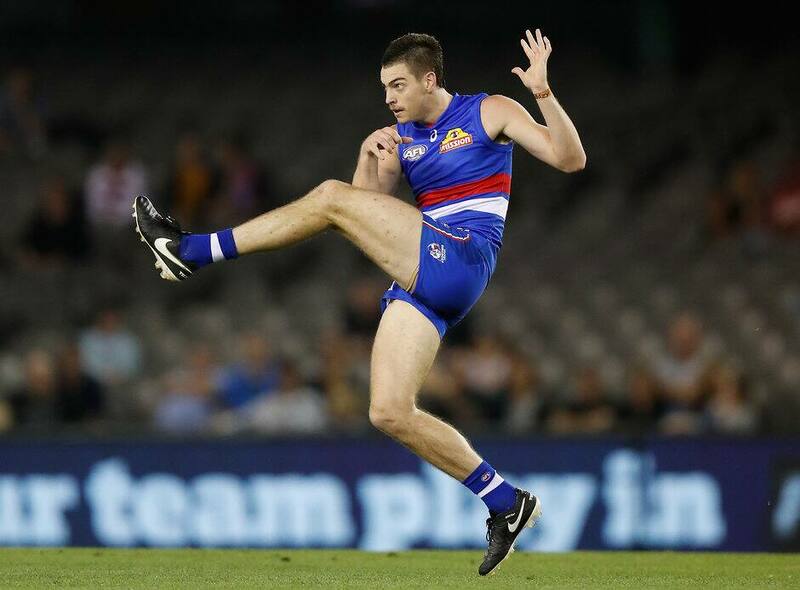 Tweedie was recruited to the Bulldogs as a Category B Rookie in the 2017 Rookie Draft, and kicked three goals in 11 VFL appearances in 2017.